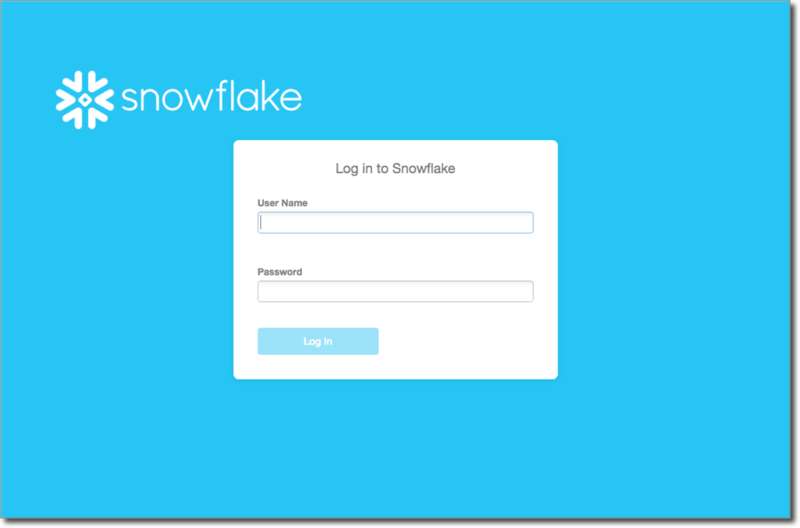 In the early stages of getting started with Snowflake, we recommend logging in using either the web-based user interface or SnowSQL (the command line client available for download from the interface). Then, once you’re more familiar with Snowflake, you can explore connecting to Snowflake using other methods. All access to Snowflake is either through your account name (provided by Snowflake) or a URL that starts with your account name and ends in snowflakecomputing.com. Point your browser at the hostname provided by Snowflake for your account (see previous section for details). Note that the URL must start with https://. Enter your credentials (user login name and password) and click Log In. For more information about the tasks you can perform in the web interface, see Quick Tour of the Web Interface. SnowSQL is the command line client for connecting to Snowflake to execute SQL queries and perform all DDL and DML operations, including loading data into and unloading data out of database tables. Where <account_name> is the name assigned by Snowflake. Note that when you specify your account name, you do not include the Snowflake domain name (i.e. snowflakecomputing.com). You only include the account name (with region and cloud platform information, if necessary). For more details, see Your Snowflake Account Name (in this topic). When prompted, enter your login name (if you didn’t provide it when executing SnowSQL) and your password. If you specified a valid account name, user login name, and password, the SnowSQL prompt appears. For security reasons, you cannot specify your password as an option on the command line; you must wait for SnowSQL to prompt you for your password. However, if you would like to skip entering information on the command line or you need to automate login, you can provide all the required account and user credential information, as well as additional Snowflake default usage information, as options in the SnowSQL config file. 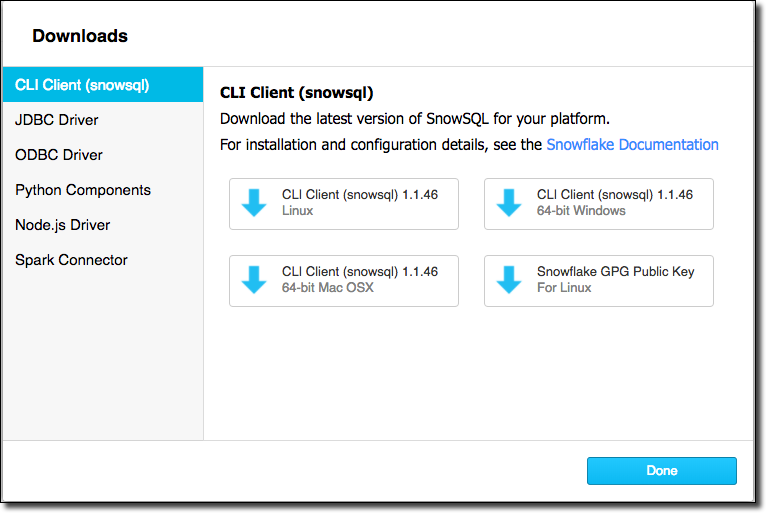 For more detailed installation, configuration, login, and usage information, see SnowSQL (CLI Client). Using 3rd-party client services and applications that support JDBC or ODBC. Developing applications that connect through the Snowflake connectors/drivers for Python, Node.js, Spark, etc. However, connecting to Snowflake using these other methods requires additional installation, configuration, and development tasks. For more information, see Connecting to Snowflake.